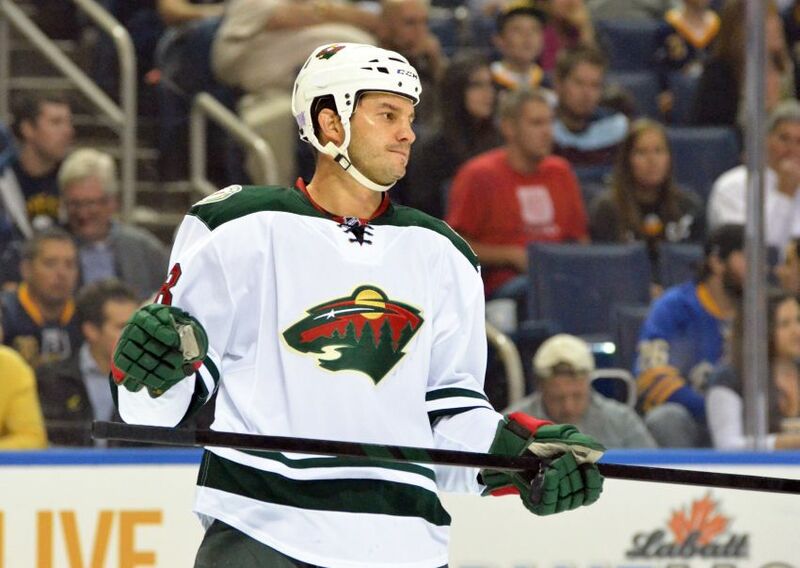 BUFFALO – Zenon Konopka is joining the Sabres for more than his grittiness and faceoff prowess. In the 33-year-old center, they also possess a hardworking veteran the youngsters on the rebuilding team can learn from. The reeling Sabres, who host the New Jersey Devils tonight inside the First Niagara Center, needed to add someone up front. The Sabres had only 11 healthy forwards after winger Drew Stafford (upper body) left Thursday’s 4-1 loss in Minnesota. With recall options limited, the banged-up club made its second waiver claim in five weeks. The Sabres also grabbed Matt D’Agostini on Nov. 28. Konopka, a native of nearby Niagara-on-the-Lake, Ont., is a rare mix of feistiness and skill, fighting regularly and annually ranking among the NHL’s faceoff leaders. Naturally, Nolan wants to utilize Konopka in the dot. The Sabres’ 46.4 faceoff percent ranks 27th overall. “If you look at our faceoff situation, too, we can certainly use a faceoff man,” Nolan said. The undrafted Konopka, 6-feet and 213 pounds, has a $925,000 salary cap hit and $1 million salary this season. He’ll be an unrestricted free agent this summer. Konopka has 12 goals, 29 points, 1,049 penalty minutes and a minus-45 rating in 323 NHL games. He has one goal, two points and 55 penalty minutes in 36 games this season. The Wild said it waived Konopka so the team could recall a goalie Thursday, although it reportedly had several other options if it wanted to keep the tough guy. Konopka has 108 NHL fights, according to hockeyfights.com, including seven this season. He had a league-high 33 scraps in 2009-10 with Tampa Bay. He has also played for Anaheim, Columbus and Ottawa. Nolan, of course, loves having toughness in his lineup. Enforcer John Scott has been taking a regular shift under him. Forward Cody McCormick, who plays and fights regularly, is hurt (hand). Exactly halfway through the 82-game season, the Sabres, who have an NHL-low 11 wins and 26 points, need another spark. They imploded during their two-game road trip, losing 3-0 Tuesday in Winnipeg before Thursday’s awful effort. The Sabres had been on a 4-1-1 run, their best stretch this trying campaign. Nolan said injuries – the Sabres are down six players and five regulars, including Stafford, who’s out “a little while” – haven’t helped. The good news is the Sabres play seven of the next nine games at the FNC, where they’ve won five of the last six (5-0-1).